Pain management Marietta patients trust for new innovative ways of treating pain. When seeking non-surgical solutions for spine pain management and regenerative medicine treatment options that provide life-changing relief, patients in Marietta, Georgia know they can turn to Alliance Spine and Pain Centers to provide the pain management results they desire. Following strict guidelines, and taking the needs and goals of each patient into consideration, our board-certified physicians develop individualized treatment plans that are designed to alleviate pain, while avoiding invasive surgical procedures and opioids whenever possible. With this patient-centered approach to pain management, our compassionate and experienced physicians seek the underlying cause of pain, and take the time to listen to each patient’s concerns, treatment expectations, and goals for recovery, prior to embarking upon a course of treatment. Rather than simply masking the pain, our objective at Alliance Spine and Pain Centers is to offer spine pain management options that address pain at the source, while improving mobility, restoring overall wellness and quality of life, and enabling each patient to resume normal function and an active lifestyle. Specializing in Interventional Pain Management, Alliance Spine and Pain Centers offers pain relief through clinically proven, minimally invasive procedures at each of our conveniently located, state-of-the-art surgical facilities throughout Metro Atlanta. As the largest pain management practice in the Southeast, Alliance Spine and Pain Centers utilizes our vast experience and wellness-focused approach to help each patient end their pain and achieve their optimal quality of life. 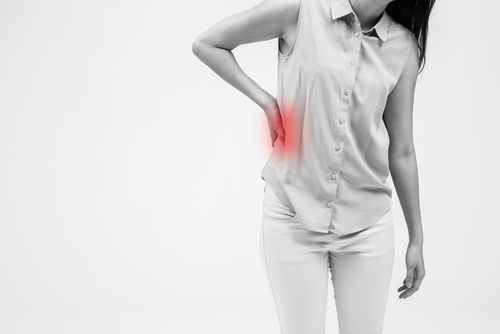 We use the latest spine pain management techniques, including innovative regenerative medicine treatment and minimally invasive procedures to enable our patients to resume the activities they enjoy. Alliance Spine and Pain Centers in Marietta, Georgia, located at 400 Tower Rd, Suite 350 Marietta, GA 30060 wants to be your first choice for pain management, spine pain management, and regenerative medicine, and your trusted healthcare partner as you return to wellness, an active lifestyle, and a pain-free life. Call us today at 770.929.9033, or visit our website to learn more.